Over the past 7 years of regularly visiting our local library (sometimes multiple times a week), our family hasn’t even come close to reading every single book in the children’s section. However, in my opinion, we HAVE done a really great job of reading through a huge variety of books each week — thanks to a super simple “system” I implemented a few years ago. I let the kids pick out several of their favorites (they know where to look now!) but I usually choose the majority of our books so we continually read a variety of topics and stories each week. Several of you have asked HOW I decide what books to check out each week. I simply work my way alphabetically through each section of children’s books. In our library, the board books are sorted alphabetically by title, all the rest of the books are alphabetical by author. However, it doesn’t really matter to me as I’m usually not looking for books by a specific title or author. I’m mainly looking for different books than we read last week! I start with the “A” picture books and pull out a good-size pile. Then I move to the board books and grab a few for Clara. Finally, I work my way through the “A” section of Beginner Readers, and by the end, my bag is pretty full (we usually get 20-30 books each week). For the longer chapter books I read to Nora, we usually work our way through an entire series before moving onto something else. We’ve read so many series over the last couple of years — American Girl (ALL the girls), Magic Treehouse, Owl Diaries, Little House on the Prairie, Puppy Pals, Rainbow Fairies, and more. The next week I check out “B” books, followed by “C” books the following week. 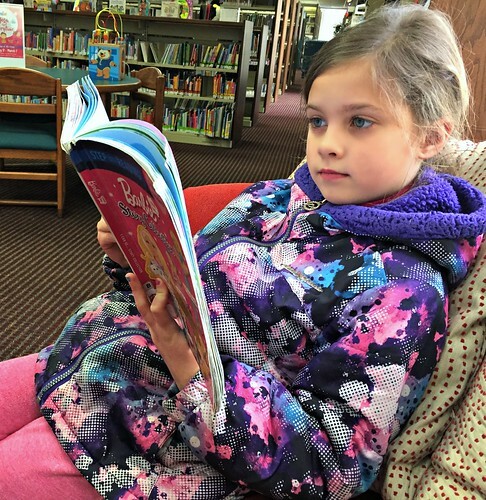 This allows us to work our way through the entire selection of children’s books twice every year, while continually reading new content each week, and physically looking through all the books so we don’t always gravitate to our favorites. Of course, there are times when I check out several books on one specific theme (birthday, holiday, and seasonal topics, books regarding a certain issue/hobby the kids are interested in, various crafts, how-tos, and DIY books, etc.) This is fun for the kids — and for me! I also regularly utilize the inter-library loan system, which allows me to request books from many different libraries (all done online from home!) 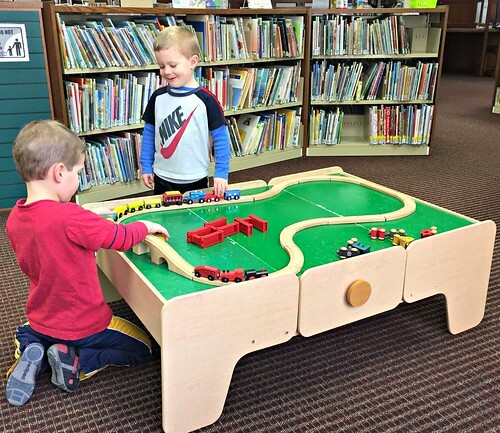 and simply wait for them to arrive at our local library. SO handy! However, for the most part, I have absolutely NO “rhyme or reason” to how I select children’s books – except for the first letter of the author’s name! I know this might sound like a silly system, but it has worked wonderfully for our family over the past few years. Yes, we’ve gotten some “dud” books that we read once and put right back in the bag to return, but we’ve also found and read so many books that have become family favorites — and we probably wouldn’t have ever checked them out if I were just searching for a specific title or topic. 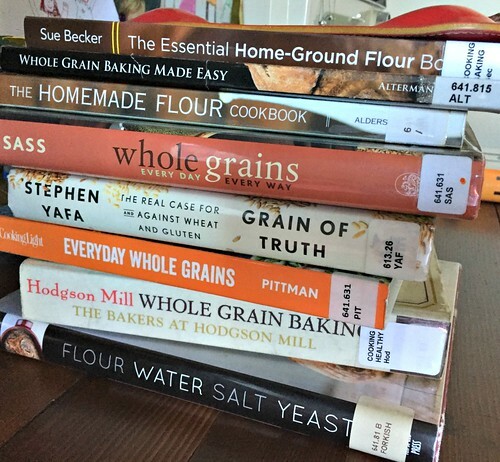 Whatever the case, I hope it will encourage you to incorporate more library books in your home! And remember, you can get more than just books with your library card too! 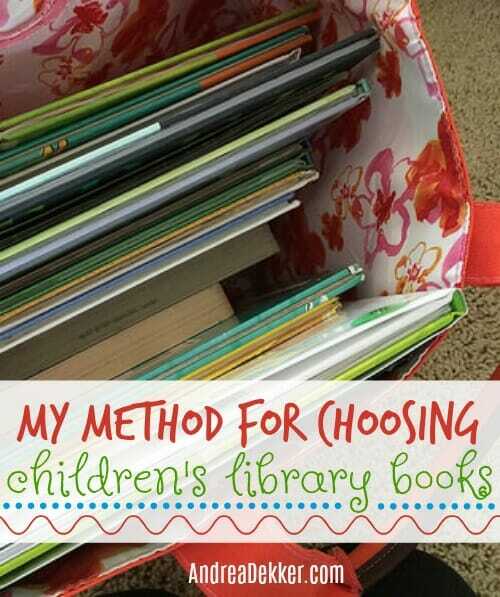 Do you have any clever methods for choosing library books? DIY Baby Mobile - yes, I did a craft! 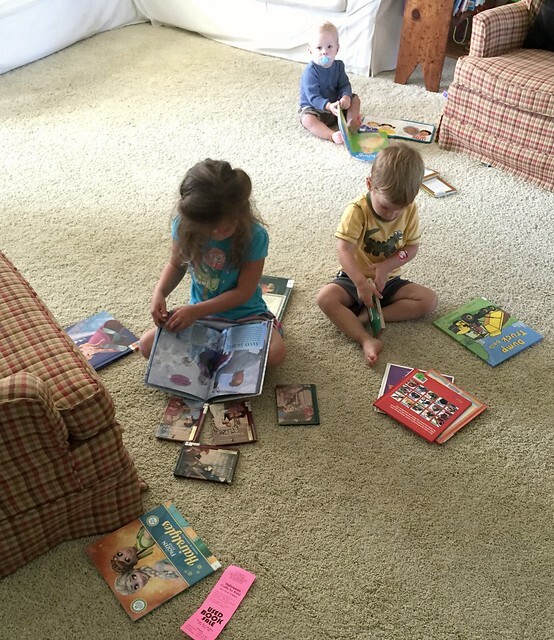 I love the Read Aloud Revival recommendations, especially the monthly picture book lists. For Nora, have you read the Ramona Quimby series? We also love Milly Molly Mandy and Anna Hibiscus, though they might not be at your library. I’m impressed you’ve read so many chapter books to her! 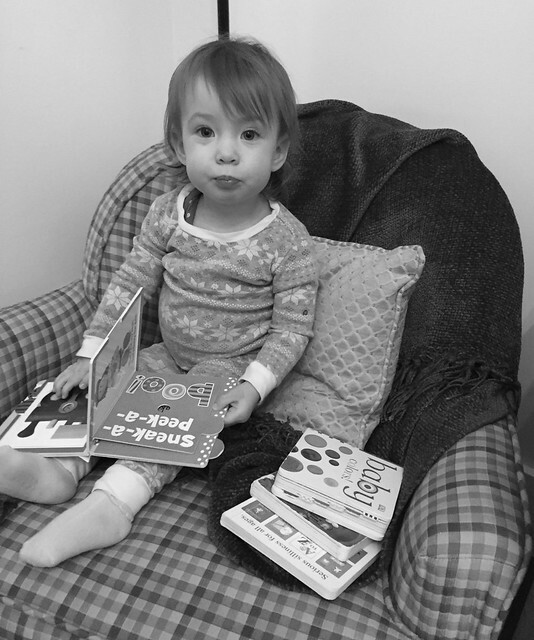 She’s a crazy book lover (like her dad) so we’ve been reading chapter books since she was 3. We’ve read HUNDREDS of chapter books over the past 4 years! Love books and love libraries! I always have since my Mom took us there almost weekly starting in the 1960s! 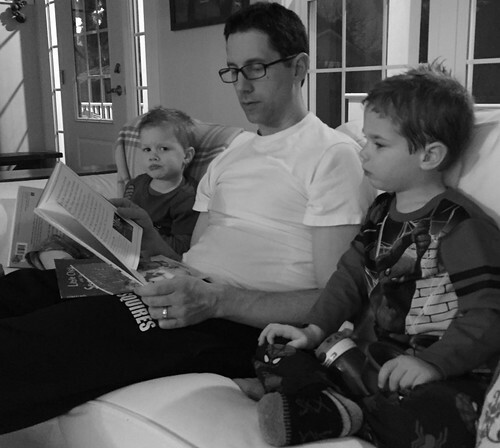 Your kids will always love books, I bet. 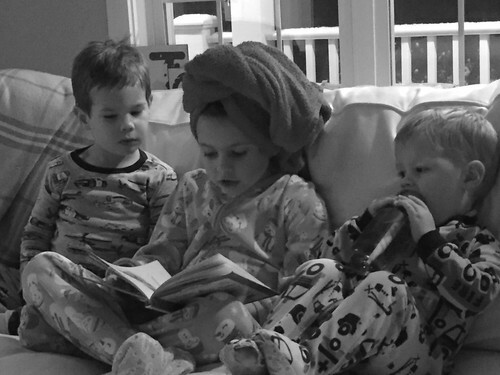 My 4 siblings and I all still read for fun every day, and all are successful and happy, as are our offspring- also readers! Here’s a thing , though- your library pays every time you request a book from another library. I just learned this- at my library here. It’s $5+ per request. My library’s budget can’t handle this, so I save it for very special books, and contribute that amount to my library. Since my budget is not unlimited, either, this helps me be discerning. There are thousands of books there already for me. I wonder if it costs a lot of “person-hours” for the library to gather all your requests and have them ready for you, versus the magical joy of exploring and picking one’s own books off of those wonderful shelves! wow — thanks for sharing about the fees Jenny! I’m going to ask my library about this TODAY! My boys are 6 and 7 (kinder and grade 2) and we order nearly all our books using the library’s online ordering system. We order around 20 a week and they are ready to pickup in the same spot each week. Saves so much time and they get exactly what they are interested in that week. I find it amazing how quick they read them and move from one series to the next. They got through all the Captain Underpants books, then DogMan the next week, then they were into the Bad Guys, now this week it’s all the Zac Power series. Our library saves us an incredible amount of money compared to the parents at school who order all these series from Scholastic. 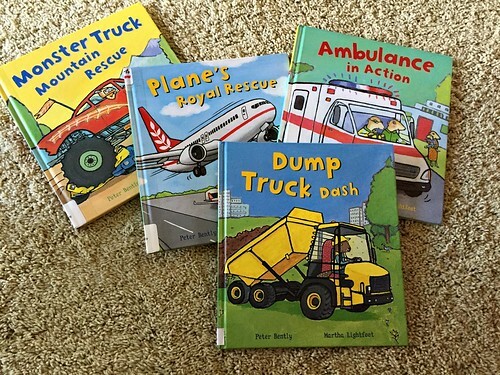 We let the boys order their own books online through the library’s website and currently we seem to have every book about farts and poop – hopefully this is an age-thing! 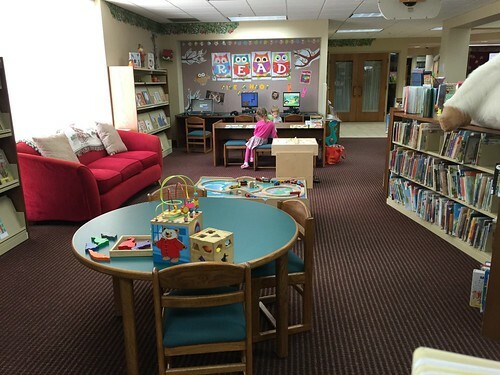 Our children participated in our library’s 1,000 books before Kindergarten. We read some from the suggested reading list, but we mainly read their interests or mine. All of my kids love Pete the Cat and Flat Stanley. I printed out the free Flat Stanley template online and found a girl template, too. I printed off their picture, cut out their heads(haha! ),and they made their own Flat person. Haha! It was so fun and cute! When I taught in an elementary classroom, my students LOVED when I read Mrs. Piggle Wiggle books. She lives in an upside down house. The author creatively addresses annoying/inappropriate behavior in children by having parents go to Mrs. Piggle Wiggle for help. She uses creative methods to help the children see that what they are doing in not right, and they change because of it. One of my favorites was when she “cured” a little boy would mock people. Mrs. Piggle Wiggle sent her parrot to live with the boy temporarily. The parrot mimicked his annoying and rude comments. He got so sick of the bird, and he realized what HE sounded like. So he stopped. Some of students took the subtle hints from the book, and some students loudly announced people who were like that. Haha! I love the suggestions on here and will have to try some out!!! I love your method for purely selfish reasons. 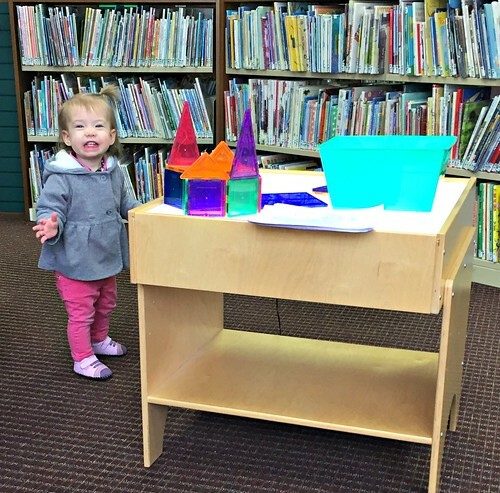 In my retirement, I am volunteering at the library. So I reshelf a lot of books. Putting 20-30 books away that are all A is much easier for us old volunteers who have to sit on the floor to access the bottom shelves in the children’s sections or to read the bottom shelf titles with bifocals! So hope your message spreads! When I worked as a page at the local library about 15 years ago I would have loved a patron who did this, and for the same reason. And Mary, because I worked Children’s & have some major arthritis, I used a rolling garden cart–the kind you sit on–to shelve the books on low shelves. Besides saving my knees, it made me much faster, since I didn’t have to keep getting up & down. Ask! The worst they can say it no. our librarians also use some type of rolling cart to re-shelve the books! haha — I’m glad to make your life easier! By subject…science, math, history, holidays etc. to help them learn more to get ready for school. The library recommended list as well. And then they to choose a few on their own. We generally either 1) let the kids browse, or 2) search for certain authors we like. 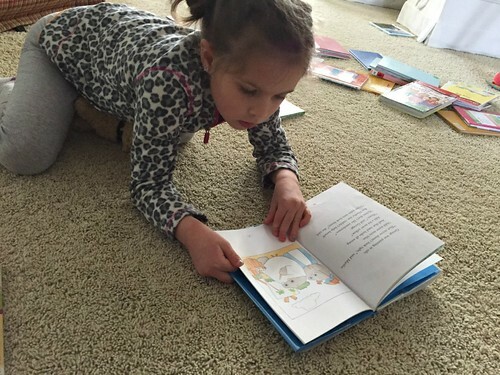 I have found it funny that over the years, my girls will often check out the same books over and over…but I let them, because they seem to love them (even though as an adult reading it, it gets old). Our library (and most) would probably help you find a list of recommended authors to choose from. 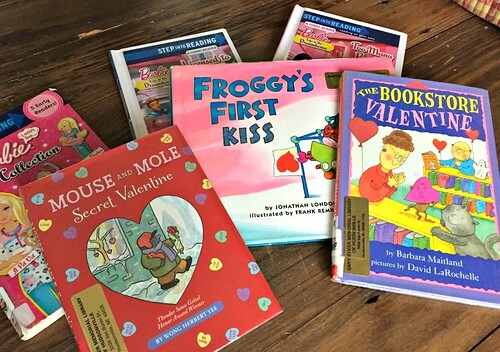 Over the years our favorites have been: Kevin Henkes, Todd Parr, Anna Dewdney, Mo Willems, any of the Fancy Nancy and Pinkalicious series, and Little Critter series, to name a few. thanks Rhonda — We’ve read several of these authors already. Great list! What a fun method! I select my children’s books all from home so that I don’t have to worry about looking at books while I’m at the library. I love the reading lists from Read Aloud Revival’s website. She has monthly selections and a lot of topical selections. I also follow Everyday Reading’s instagram page and pick up any book that she recommends. We’re currently working our way through Read Aloud Revival’s new biography picture book list and we’ve been loving it! Thanks — I’ll have to check these out! Book series suggestion for Nora: Sophie Mouse! 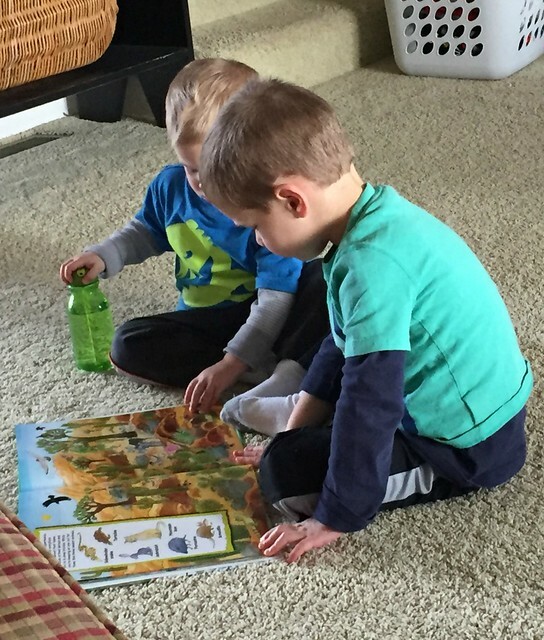 They are beginner chapter books which my oldest (a week younger than Nora) has really been enjoying. They’re innocent books that don’t have disrespectful undertones or language. I can’t believe how many children’s chapter books have those thrmes these days. Thank! 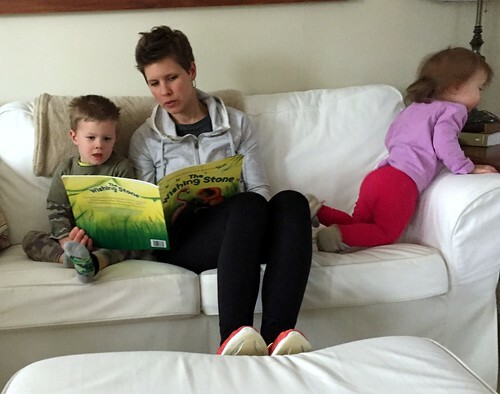 We’ve read EVERY Sophie The Mouse book (twice!) They are great!